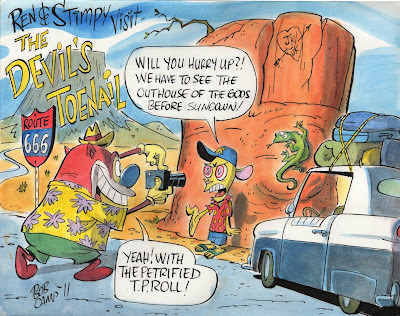 Bob Camp Cartoonist: The Devil's Toenail! This is so original and fun! Reminds me of so many childhood summer vacations spent in the back seat arguing with my sisters. Bob, This is brilliant! do you have any layouts or boards from season five, particularly from "The Last Temptation of Ren"? 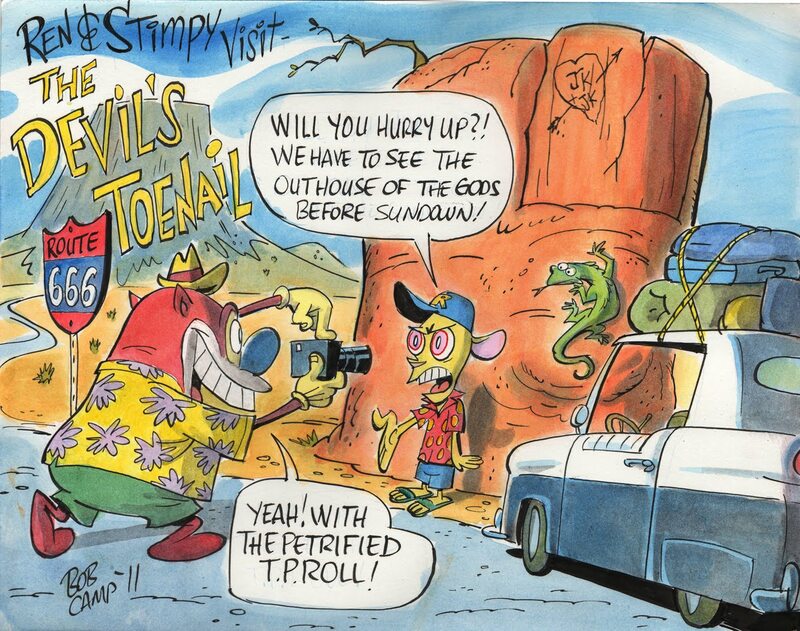 To quote Bill Wray "nobody draws like Bob Camp"
there is so much good stuff happening this, i love it! JK loves JK eh? aWHOOP! I met John K the other day, seems like a nice guy, shame you guys dont see eye to eye anymore. Of course - Ren WOULD drive a Nash Metropolitan!